Some of the initial reports on Glu Mobile aren't focused on the wrong numbers with a confusing mix between revenues and bookings. The key here is that the mobile payments company reported Q3 bookings growth of 18% at $98.2 million. The market probably isn't happy with Q1 booking at only $89.0 million and full year at $440 million for 14% growth. 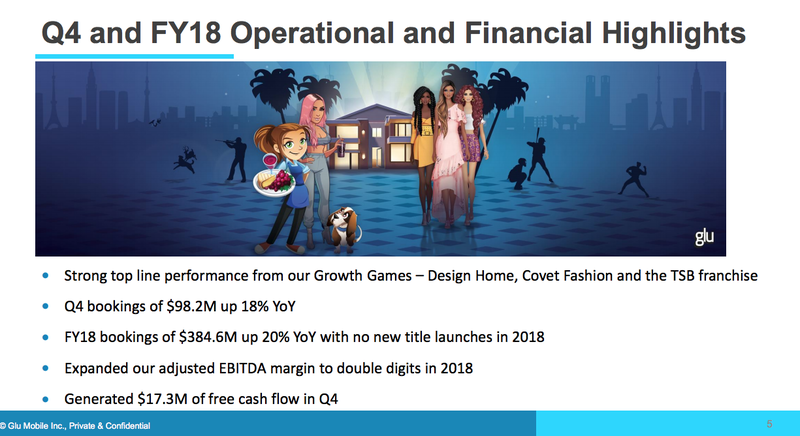 One needs to remember that Glu Mobile traditionally beats estimates. The stock down around only $9 with about 160 million shares outstanding places the market cap at only $1.44 billion. With forecasts for cash of $150 million, the EV/S multiple is less than 3x. 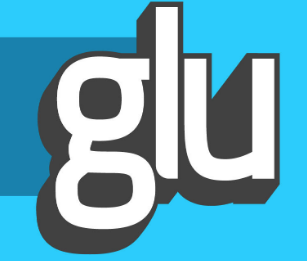 The company didn't provide any really helpful ways to easily configure the non-GAAP EPS total, but based on quick calculations using the adjusted costs and Glu Mobile and net income of $10.0 million. 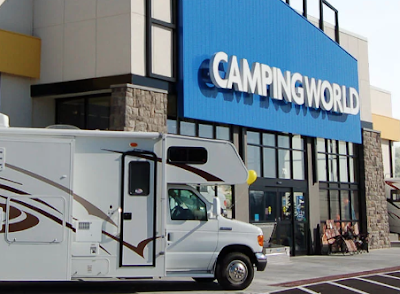 Using the 159 million shares outstanding and the company earned $0.062 per share in the quarter. Maybe the best number is the $17.3 million of FCF generated in the quarter. The incredible part of bookings guidance is the general lack of revenue guidance from the new games. Glu Mobile forecasts bookings from existing games growing 10% this year. All of the new games offer upside from this growth rate. Diner DASH Town & WWE are both expected to only contribute in the $10 million range this year despite mid-year launches. 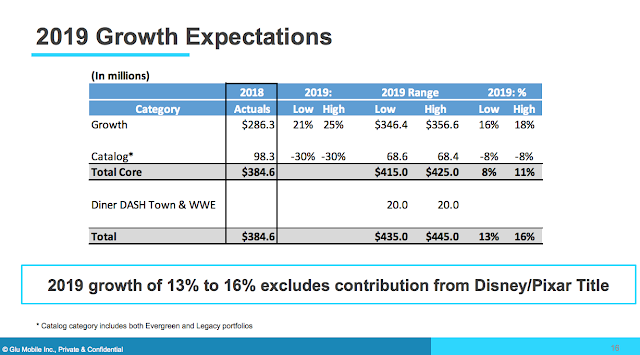 The Disney/Pixas Title isn't even factored into revenue estimates. Another $20 million from these games would push growth to the 20% range. The stock continues to have limited downside risk and plenty of upside potential, if one of these games turn into a hit.